Custom southern colonial home featuring double porches sitting on 15.67 acres. Tucked away just inside a neighbor enjoy the best of both worlds. Private country living and the feel of a neighborhood at the end of the road. Entering the home you are greeted with a grand foyer with the study on one side and the dining on the opposite side. Soaring ceilings in the great room will take your breath away. The kitchen is very large with an oversized island in the center allowing for plenty of prep area. Master suite is on the main level feating his and her full bathrooms and walk-in closets along with a sitting area in the bedroom. Fully finished basement. On the second floor there a 4 large guest room with two full bathrooms. 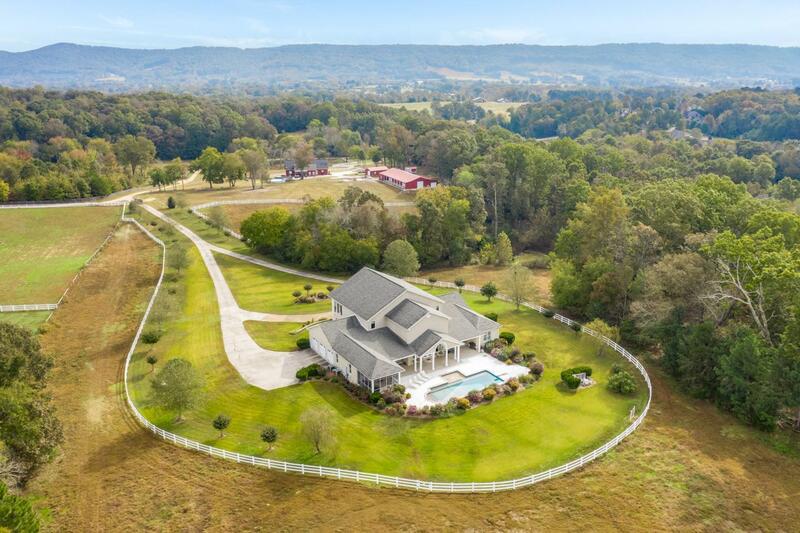 Outside features plenty of entertainment space with a pool andCustom barn and fencing for your horses. Don't miss out on this special property. Call for you private tour.